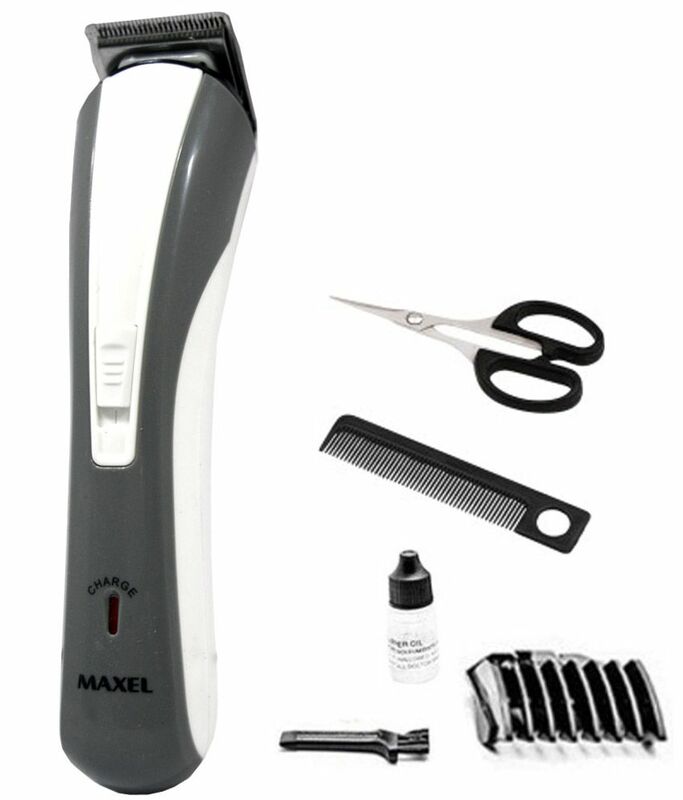 The Maxel Professional Rechargeable Hair Trimmer AK 8002 with Ergonomically shaped Body. 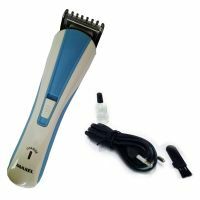 The Trimmer comes with Stainless Steel Blades,Variable cutting length. 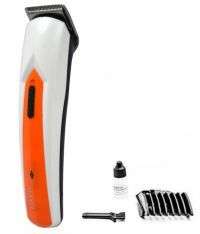 Easy to take down Blade.Precision cutting Blades Adjustable Cutting settings. 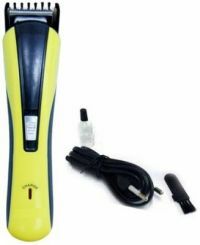 Makel AK-8002 Professional Rechargable Hair Clipper for Men The Maxel Professional Rechargeable Hair Trimmer AK 8002 with Ergonomically shaped Body. 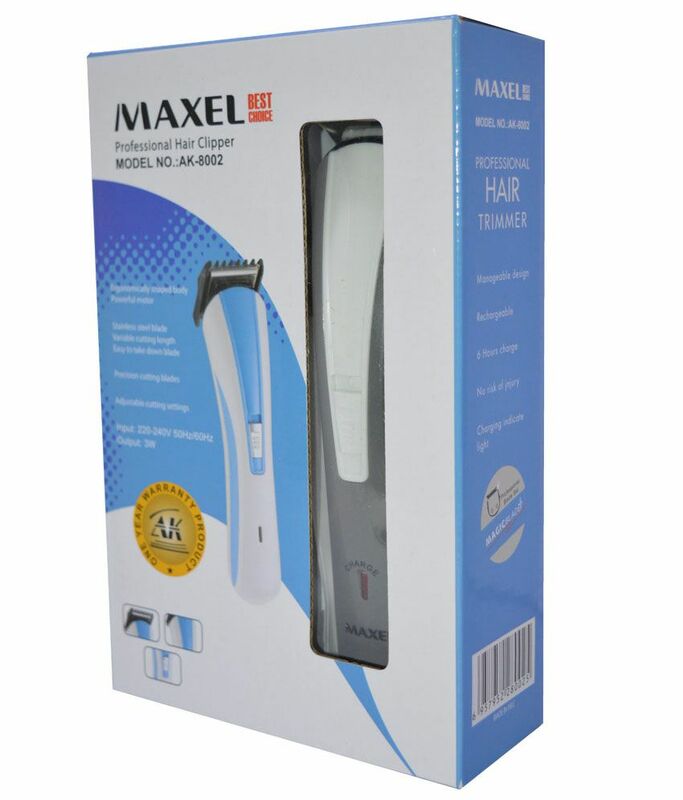 The Trimmer comes with Stainless Steel Blades,Variable cutting length. Easy to take down Blade.Precision cutting Blades Adjustable Cutting settings. To Recieve updates and possible rewards for Maxel AK 8002 - Grey please sign in. To Recieve updates and possible rewards for Trimmer, Clipper & Shaver please sign in.